It is important that you receive care for your tooth pain the moment it starts to bother you. If you allow the condition to persist, it will become much worse and you may even suffer from an infection. 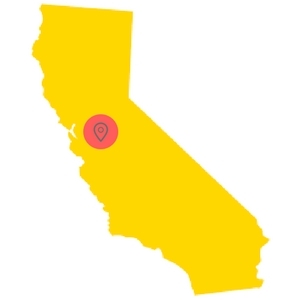 Below, you will be able to locate Modesto emergency dentists in the area who are ready to help you. It will only take you a moment to browse the list and you could be on your way to better oral health soon. You can also give our 100% free service a call and let our knowledgeable staff find the perfect dentist for any dental emergency you may be facing. A wonderful website full of great information if you are experiencing a dental emergency. I am glad I found it and was able to look through the dental listings and find one near me very easily. 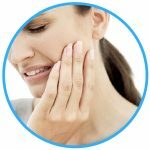 Dental pain will not go away just because you want it to and you will need to either live with it or find relief for it. Fortunately, there are available care options in Modesto that will work for you. After hours dentist offices are plentiful in the area, and most of them are open until 9:00 pm throughout the week and some are even open on the weekends. This means that you can go about your day as needed and then arrive in the office to receive care up until their later closing time. Patients who benefit best from after hours’ clinics are those with mild to moderate dental problems that need to be looked at sooner rather than later. Sierra Dental Care is an excellent choice as they are open late and even have Saturday hours. Frontier Dental is great if you are looking for a 24-hour dental clinic since they are open 7 days a week. Emergency Dentists USA has prepared a list of Modesto emergency dentists below. All you must do is look at the list and determine which provider you want to go to. From there, just give the office a call and schedule your appointment to receive care. Description: This area of the country is full of beautiful orange groves and vineyards, and is not a location where you want to be crippled with tooth pain! Calling our 24-7 hotline will link you up quickly with an emergency dentist who can get you feeling pain-free in no time. Description: Emergency Saturday and Sunday dental appointments are available with this clinic whose efforts in helping those with painful dental complications are among the best in the business. Know that this dentist clinic in Modesto, CA is primed to help you combat the pain and suffering and get you on your back to better health right away. Description: If you fall into that category of one who is desperately looking for a dentist open on Saturday in Modesto, CA, then do not think twice about Sierra Dental Care. They emphasize that they offer affordable dental care and will work with numerous insurance companies, seeking to keep your out of pocket expenses as low as possible through their reduced fee service program. Description: The staff at Western Dental here in Modesto is able to offer you Saturday hours from 8 AM until 4:30 PM. You may be looking for help with a problem such as an abscess or root canal, or need a scheduled regular check-up. The staff at Western Dental is here for you regardless and will see that you get help right away. Description: Pelandale Dental is a leading provider of state of the art dentistry practices and look to make your care as pain-free as possible. They can do just about all you might need covering preventative and restorative dental techniques, root canals, dental implants, braces, bondings, fillings, etc. Description: Smilecare Dental has their office open until 7 PM on Mondays, for those that have very busy schedules, and also until 6 PM Tuesday- Friday. They are great at making sure the patient feels completely calm, and providing services ranging from routine cleanings to emergencies such as extractions and root canal therapy. When you arrive at the office, you should have your health records, paperwork, and insurance information ready to hand over to the office staff. If you are a new patient, you will likely need to fill out some paperwork, which will take about 15 minutes. You should make sure that you know how you plan to pay for your dental appointment and verify that the office does accept your payment method. Some offices do not accept checks or cash, so this is something you would need to know beforehand. If you have any allergies to any medicines you should let the office staff and dentist know, this way, they can plan your aftercare accordingly and ensure you remain healthy the entire time. In addition, if you are afraid of your upcoming procedure, let the office staff know so they can alert the dentist and go over your available sedation options with you prior to your appointment. Tooth pain signals that there is a problem that needs to be addressed quickly. If you are experiencing any type of mouth or tooth pain, it is time that you see a local Modesto emergency dentist to receive the procedure you need. No matter the type of emergency you are experiencing, you need to seek out emergency care from a trained and licensed dentist. If you ignore the pain you feel, the condition can get worse or cause an infection to spread. An emergency toothache can be a serious cause for concern and it may catch you off guard. There are many reasons why you may have a toothache, but the two most common reasons include food stuck in between your teeth or decay. If you have dental decay, you should rinse your mouth out with warm salt water. If you are in a lot of pain, you can take Tylenol or a similar pain reliever. If your toothache is caused by food stuck in between your teeth, you should floss between your teeth to try to remove the object. If you cannot get relief or you think that you have serious tooth decay, call your local Modesto emergency dentist to receive care. Broken braces wires can be dangerous because they can cause soft tissue injuries to occur due to the sharp wire. 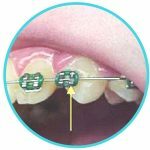 If your braces wires have broken, you do not want to cut off the piece that is sticking out, as you may inhale the piece and this can cause choking and further injury. You should use the top of a pencil eraser to move the wire away from your gums or cheek. If you cannot do this, you should place a piece of dental wax onto the wire. If you have broken braces wires, you should get in touch with your local Modesto emergency dental clinic to get the care you need. If you have broken your tooth, try not to panic too much. The first thing you should do is recover your tooth or any pieces of the tooth. You should then rinse your mouth out with warm water and apply a piece of gauze to the site if bleeding is present and apply pressure. If you are in a lot of pain, you can take an over-the-counter pain reliever, such as Tylenol. 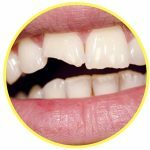 If you notice any swelling, do not hesitate to place a cold compress near the site where the tooth broke for up to 10 minutes. If you have a broken tooth, call an emergency dentist in Modesto right away. Dentists will do everything they can to save a tooth first, so if you are told that you need to have an extraction, it is because the other treatments will not work for you. If you have been told that you need to have an emergency tooth extraction performed, you should do it. If you wait, the problem can become a lot worse and leave you in even more pain. Below, you will find some helpful care instructions to ensure you recover quickly from the extraction. Most patients are healed and back to normal within a day or two. Many patients have been heading to the emergency room when they experience a dental emergency or tooth pain. While you may think this is the place to go, it is not usually the best place, and they may not even be able to help you while you are there. The ER is designed to handle medical emergencies and not perform dental procedures. If you arrive at the ER with a tooth problem, the doctors will only look over the tooth to ensure the condition is not more serious than it is. You would be better served at a local dental emergency clinic in Modesto. The dentists that work in these clinics are available around the clock to provide you with the care you need. They have the tools and equipment on hand to perform any procedure that you need. If you have sustained any type of trauma, hit your head, or have broken your jaw, you should first go to the ER. Tooth pain can become completely debilitating and can cause you to miss out on some of the most important social events in your life. Life should not be this way and it does not have to be this way either. If you want to alleviate the pain you feel, call an emergency dentist in Modesto today from our listings above. Before you visit a new dentist, it is recommended that you verify their credentials and licenses to make sure they have met the minimum qualifications to practice. To do this, you should search the Dental Board of California and the California Department of Consumer Affairs. Disclaimer: The Emergency Dentists USA website is designed to provide you with information only and should not be used as a substitute for professional medical advice. If you have an emergency and cannot get ahold of a dentist, call 911 to receive immediate care.